Due west of Amsterdam lies the coastal resort of Zandvoort, famous for its long sandy beaches, miles of grassy dunes and the improbable presence of a once-world-class racing circuit. Officially opened in 1948, Circuit Park Zandvoort hosted its first Formula 1 Grand Prix in 1955, witnessing another virtuoso performance from Juan Manuel Fangio on his way to yet another world championship at the helm of his Mercedes W196. Beneath the towering dunes of Holland’s North Sea coast, this tight and challenging circuit with its fast bends and infamous Tarzan hairpin would be the venue for countless other great races throughout the glory days of the World Drivers and Formula 1 championships. Its final high-profile race was run in 1985, when Niki Lauda’s Mclaren pipped teammate Alain Prost to victory by the narrowest of margins in a memorable swansong for what had become an outdated track in the increasingly demanding modern era. Today, with its international status hogtied by bureaucracy, this remarkable venue plays to those historic strengths, hosting a variety of low-key and exclusive events including the Historic Grand Prix Zandvoort. In its sixth year, this is Holland’s answer to the Goodwood Revival, with a glorious array of priceless vintage racing cars from various disciplines put through their paces across the sandy asphalt. 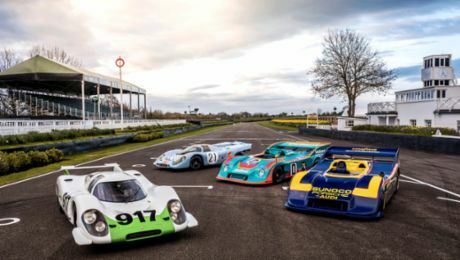 Porsche Historic Motorsport was a major participant in this year’s meeting, in front of tens of thousands of eager spectators who crowded the paddock and dunes to see and hear the single seaters and sports cars of their childhoods howling back into life. 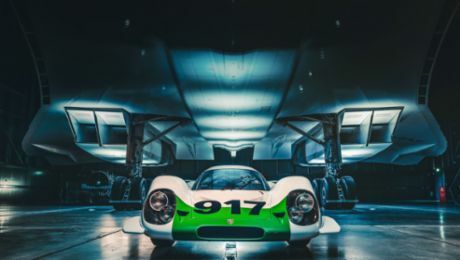 Let loose from our own museum were the iconic Gulf-liveried 917K, Targa-taming 1970 908/3, Le Mans-winning 936/81, an original 1973 2.8 911 RSR and the all-conquering RS Sypder. Over each of the three days in the first week of September, these cars drove rapid demonstration laps in the hands of Porsche luminaries such as Jan Lammers, Gijs van Lennep and Jürgen Barth, who also met fans and signed autographs in the Porsche Classic village set up in Zandvoort’s paddock. A stark reminder of the perils these drivers and their contemporaries once faced drew a cloud over the weekend, however, when 62-year old Frenchman David Ferrer had a serious accident in his March 701. Everyone at Porsche was deeply saddened to learn that David died of his injuries a few days later and our condolences go out to his family and friends.